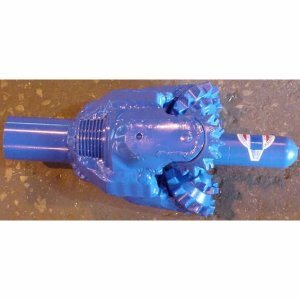 Mills Machine has been custom manufacturing horizontal hard rock drilling bits for over 20 years. We make two types of HRR bits: a Free Bore and Casing Push type. Both of these designs feature steel tooth or tungsten carbide button roller cone bit segments with sealed bearings. 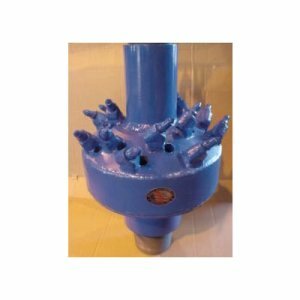 We offer new or economical reconditioned roller cones manufactured by major oil field bit companies. Free Bore Bits feature either fabricated fixed cutters that can be cut off and replaced or bolt-on, field-replaceable cutters. These bits can be manufactured to any size you need. Casing Push Bits feature gage cutters that open out when rotated to the right (clockwise) to cut a larger hole than the outside diameter of the casing or pipe. If warranted, the bit can be rotated to the left (counter clockwise), closing the cutters and making it possible to retract the bit, while leaving the casing in the hole. These bits feature either fabricated fixed cutters that can be cut off and replaced or bolt-on, field-replaceable cutters. 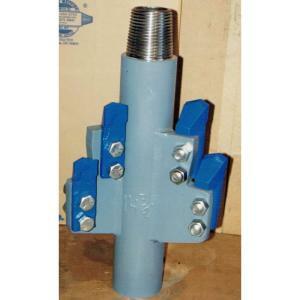 Casing Push Bits are typically 18″ or larger. The Casing Push Bit design features Mills Cam Lok technology which enables the hinged roller gage cutter to positively lock into place and then close back into the body for retraction from the hole. Normally, two small water lines are tacked onto the top of the casing to provide water or drilling fluids to keep the roller cones cool and to flush small rock cuttings out of the hole. The common drive for these types of bits are solid flight augers, but rotary threaded drill rod or jet augers (drill rod with flighting) are also available. These bits offer an economical solution to your hard rock boring needs. 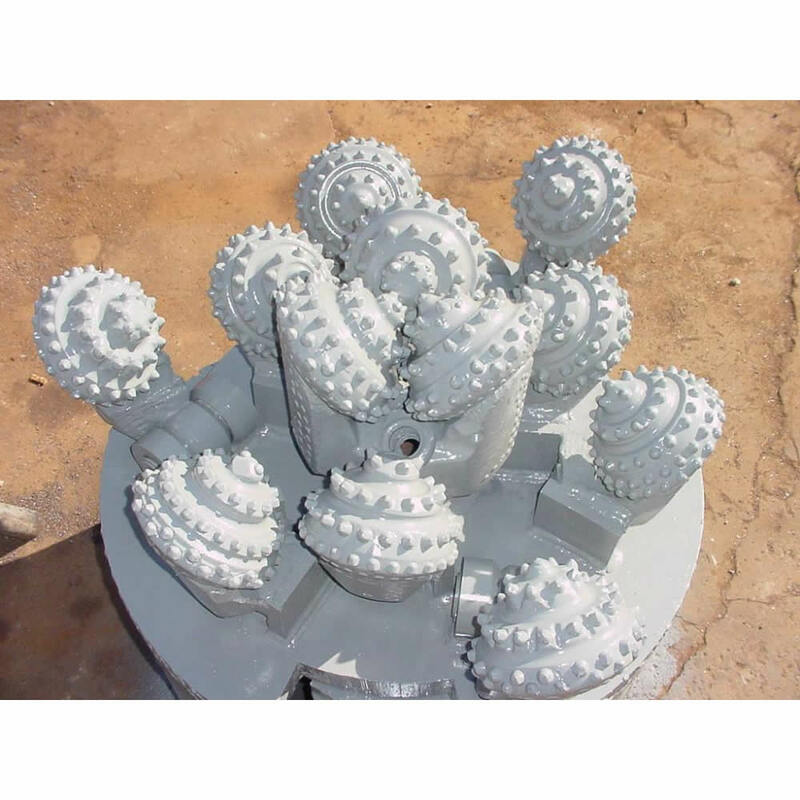 We can also manufacture these bits in Drag (blade) Type, for boring soft to medium formations, and Bullet Type, for soft to medium hard formations. Drag Type Bits feature bolt-on, field-replaceable, carbide-tipped teeth. Bullet Type Bits fall into a category somewhere between drag type bits and roller type heads. This versatile, fast-cutting bit is capable of drilling up to 10,000 psi rock.